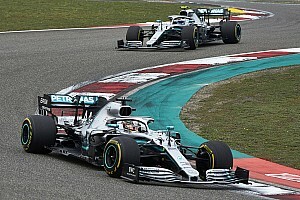 Valtteri Bottas thinks lead cars are still able to "control" races because of the aero turbulence their car causes, despite the change of rules for 2019 aimed at helping overtaking. 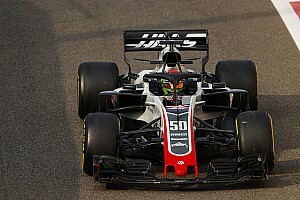 Honda will introduce its first upgraded engine of the 2019 Formula 1 season at this weekend’s Azerbaijan Grand Prix, following the discovery of a quality control problem. DJR Team Penske drivers Scott McLaughlin and Fabian Coulthard have both offered light-hearted responses to the Mustang parity changes via social media. International long-distance racing promoter Creventic has been added to the list of bidders for a new event at Mount Panorama. The son of two-time F1 world champion and Indy 500 winner Emerson Fittipaldi – Little Emmo – talks about his recent karting crash that broke and dislocated a finger on his right hand. NASCAR Xfinity Series regular Justin Haley will tackle double duty this weekend at Talladega (Ala.) Superspeedway. The Williams Formula 1 team must outdevelop its rivals at “double or triple the rate” to make up for its current disadvantage, George Russell believes. Carlos Sainz says McLaren's incoming managing director Andreas Seidl has made a "very good" first impression and is "impatient" to start working at the Formula 1 team. HWA's Stoffel Vandoorne says his recent test for the Mercedes ABB FIA Formula E squad is "very important" for his future. Formula 1 track designer Tilke has revealed what the new Vietnam Grand Prix track will be like from the cockpit, with the release of an onboard simulator lap. ABB FIA Formula E chassis provider Spark Racing Technology will produce the base chassis for the upcoming Extreme E electric off-road SUV racing championship. 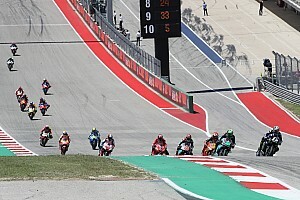 Tech 3 KTM rookie Miguel Oliveira believes the RC16 bike requires a riding style akin to reigning MotoGP champion Marc Marquez to get the most from it. Gerhard Berger says that Lewis Hamilton is the only Formula 1 driver he has seen who he would rank on the same level as his former McLaren teammate Ayrton Senna. The Envision Virgin Racing ABB FIA Formula E team has announced that it will be sponsored by the Harley-Davidson motorcycle brand. Ferrari is bringing “a few updates” to the Azerbaijan Grand Prix, marking the first development of its 2019 Formula 1 car as it bids to close the gap to Mercedes. Billy Monger will compete in the 2019 Euroformula Open season for Carlin Racing. Michael Schumacher's former manager Willi Weber believes the seven-time world champion would have returned to Formula 1 in a management role with son Mick, were it not for his 2013 skiing accident. The MotoE series will hit the track for a pre-season test in Valencia in June, just over three months after the massive paddock fire that forced its inaugural season to be postponed. UK free-to-air broadcaster Channel 4 will show the new all-female W Series live on television in 2019.